Le Creuset Cast Iron Tagine. The base cooking dish is made from cast iron with a flat bottom. It can be used on any heat source, or on it's own as a baking dish in the oven. The "coolie" style lid is made from earthenware so it still offers the same cooking features as the original. Steam is re-condensed into water droplets on it's cool walls and falls back into the ingredients keeping it moist. 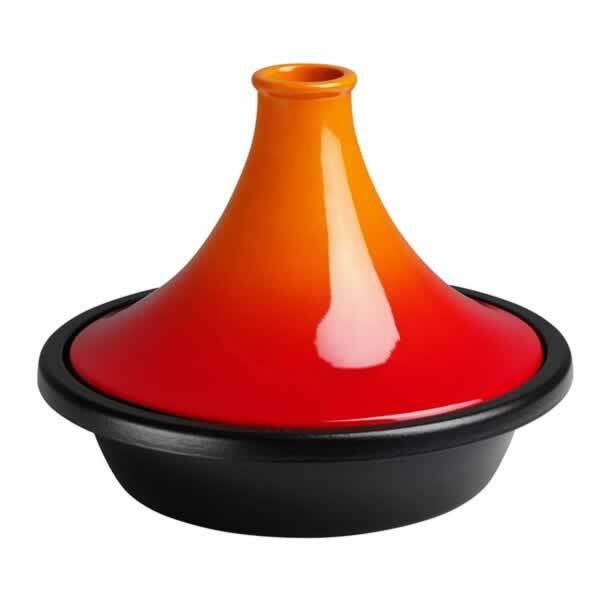 Suitable for slow cooking of meat and vegetables with small amounts of liquid, the tagine is now available from selected stockists in teal.